Meet James- James is a part of the SVC team, he is just as funny as Shane, but just a bit shorter. Suited for those grooms who have height restrictions. Unlike Shane, I follow real rugby league teams. The Parramatta Eels and NSW, but don’t hold that against me. I grew up in Tweed Heads loving the surf and almost anything to do with water. I first got into the Celebrant way of life after being MC for a number of weddings and being asked by good friends that they wanted me to marry them. I did not have to think about it for too long because I love attending weddings and what better way to be involved in them, than being up there with the bride and groom and helping them through one of their most special occasions. I have been married now for just over a year and Shane was our celebrant. Being asked to join Shane Vincent Celebrant is a great honour as I know the importance of helping a bride and groom through their special day. Having an easy going personality I will strive to make your wedding special and fun. I will be serious when I need to be but I will keep the rest of the ceremony as relaxed as the bride and groom want it to be. 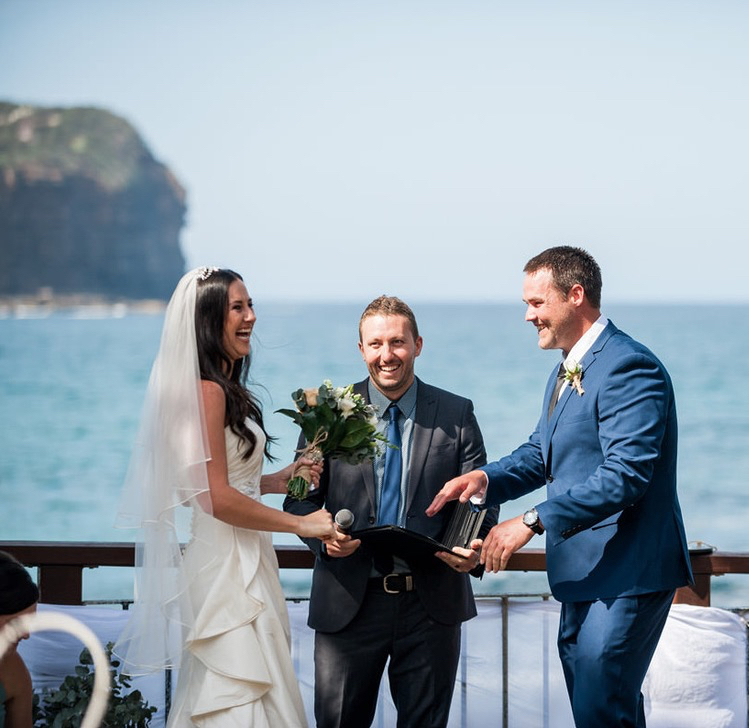 "We had the the pleasure of having Shane as our celebrant. He was very accommodating with preparations as we both work busy schedules. This certainly made the lead up very easy. Shane's easy going nature, great sense of humour and ability to socialise in any situation helped on the day of the wedding as he made us both feel relaxed. The ceremony was exactly as we wanted and Shane was the perfect choice for us. We would recommend Shane to anyone who is getting married. Thank you Shane for helping us on our day". "You were personal and just all round brilliant. We are so glad we used you."